Participants at the CARDI Day celebrations in Linden, Guyana received a first-hand view of some of the lucrative value added products that can be derived from coconuts. 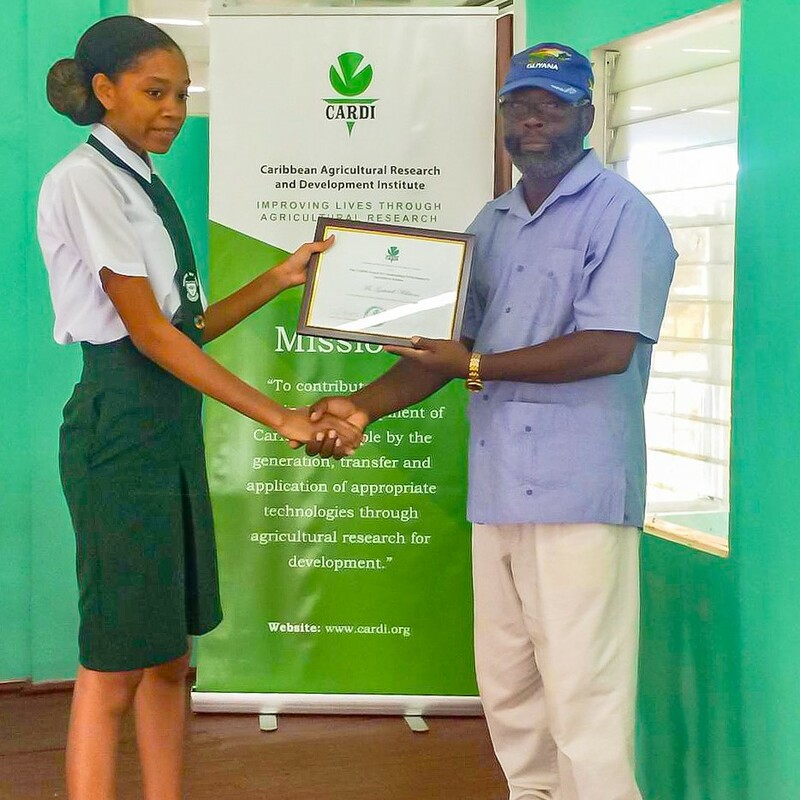 CARDI Guyana partnered with one of the project’s Lead farmer/processor to demonstrate the production of virgin coconut oil and handmade soaps using natural plant based oils and local ingredients. De Souza who has been manufacturing soaps since 2016, has received technical advice for developing his factory and training in food safety, handling and packaging, under the project. He will soon begin to put to use the knowledge gained to upgrade his facility and improve his post production processes. As a lead farmer, De Souza is involved in the production of the raw materials needed for his processing. Participants toured his coconut nursery and plantation and saw how he is working to strengthen and control his supply chain. Every part of the coconut tree is useful. The Unit did a demonstration of the shredder procured under the project for breaking down coconut husks which continues to receive a bad rap from an environmental and social perspective. Dr. Cyril Roberts, CARDI Representative in Guyana spoke on the versatile uses of the shredded green shells and dried husks.